This severe weather event has been great fun for kids and adults alike. For the last two days, Gallows Bank has been the training ground for future Winter Olympic champions. And snow people are appearing around the town. They include the best snow dog I have ever seen. It’s in Ludlow Market Square. 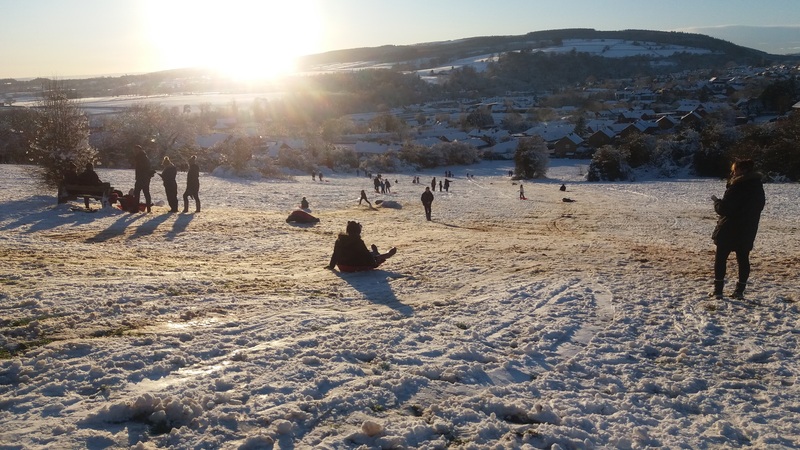 This photo shows just a small part the snow adventures enjoyed by young people yesterday and today on Gallows Bank. 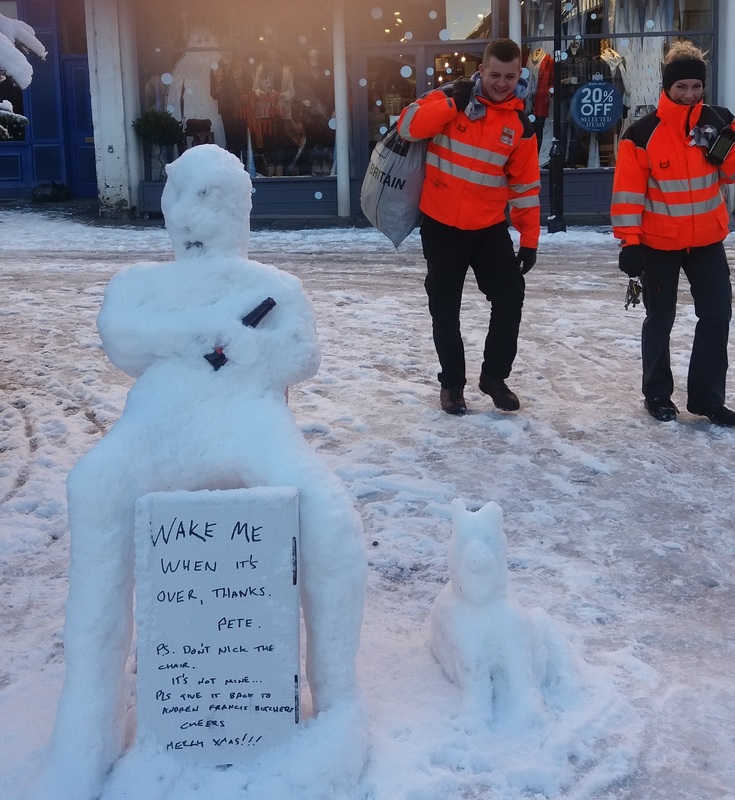 If you couldn’t get into town today, and a lot of people couldn’t, here is the snow dog and its master. Wonderful. Utterly wonderful. It’s by the Christmas tree on the market square. Back to serious news in the morning. It’s going to be very icy. Take care but don’t forget to have fun. What is the writing on the showman’s board? “Wake me when it’s over [xmas], thanks, Pete. Ps, please don’t nick the chair – it’s not mine. Pls return it to Andrew Francis Butchers, cheers.